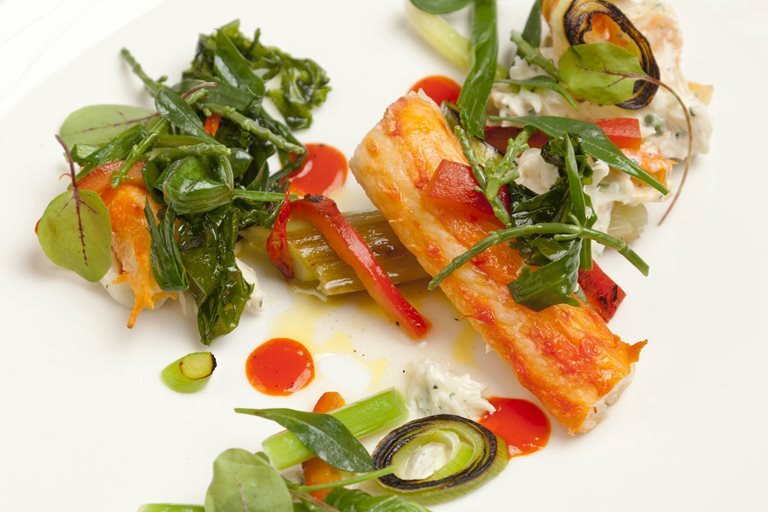 This king crab and leek recipe from Dave Watts produces a feast for the senses - meaty king crab is paired with burnt leek and sea vegetables, with a dressing of red pepper and cardamom. King crab is usually purchased in clusters of legs and body, which makes this beast of a crustacean much easier to manage. Mizkan Honteri is a sweet Japanese seasoning which has similar qualities to rice wine vinegar or mirin. Dave Watts may have come to cooking relatively late (at the age of 21), but he has more than made up for his slow start – winning Good Food Guide’s Chef to Watch accolade in 2013 and impressing at the stove of The Star Inn.